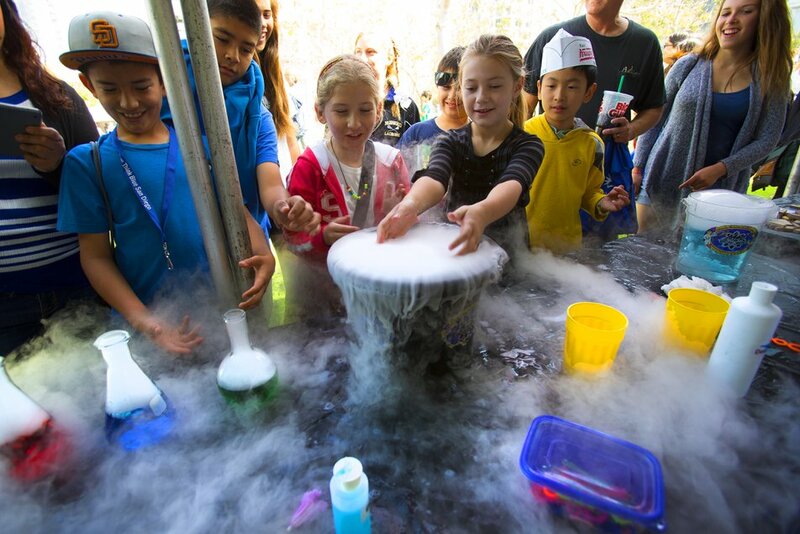 The San Diego Festival of Science & Engineering kicks off with its largest event EXPO DAY, a daylong celebration at PETCO Park on Saturday, March 2, 2019 from 10am to 5pm. 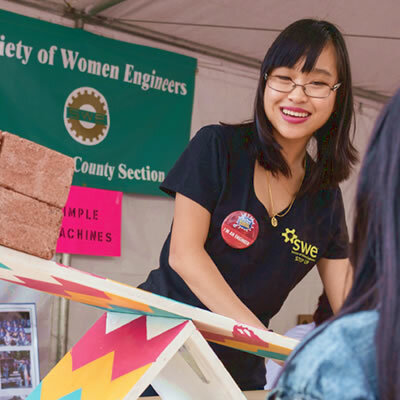 EXPO DAY is the Festival’s signature event, with more than 130 local businesses, corporations, and organizations providing interactive, hands-on science, technology, engineering and math exhibits and activities to budding K-12 science lovers. The fun continues with Festival Week (March 2-10) – eight days of learning, interaction and behind-the-scenes opportunities for pre-k through gray! Students, families, young professionals, passersby are all invited to join us for Festival Week to ignite their passion for STEM education. *In 2018, 65,000+ kids, parents, scientists, educators and community members participated throughout the week, and more than 23,000 children, parents and STEM enthusiasts attended EXPO Day at PETCO Park. $8.50 KIDS MEAL: includes hot dog, chips and water at select Padres concession stands. 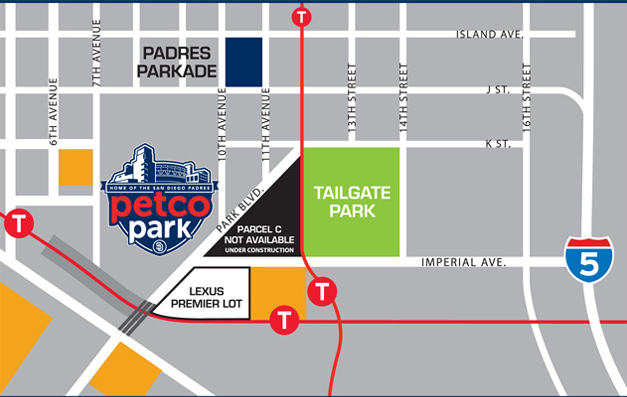 BRING YOUR OWN LUNCH: The San Diego Padres permit guests to bring food into Petco Park for individual consumption (but not for large groups of individuals) as long as the items are consumed in the general seating or designated picnic areas. Outside food cannot be brought into any restaurant, club lounge, or suite. K-12 TEACHERS: Encourage your students to explore STEM by rewarding extra credit for attending our EXPODay at Petco Park on 03/03. 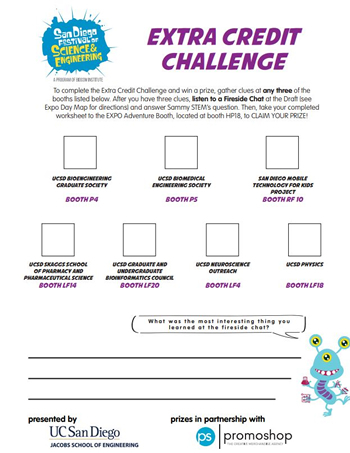 To download the Expo Day Extra Credit worksheet, please click to the right. 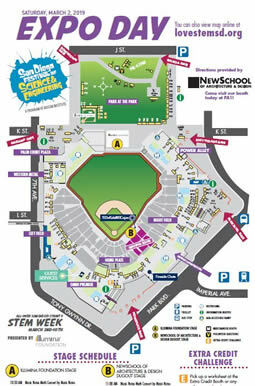 Extra copies are available at the Expo Day Extra Credit Adventure booth presented by UCSD Begs Outreach and located near the Fireside Chats in the Mercado directly up the large staircase at the Park Boulevard gate. Fireside Chats – A mini version of the TED Talk. Join industry professionals for an engaging 10-15 minute discussion in an intimate setting around our Mercado Firepits! Learn about their careers and what sparked them to world of science, technology, engineering and math! Following the discussion, there will be time for the audience to participate in extended conversations and Q&A. Location: Between Park at the Park and the Tot Lot. 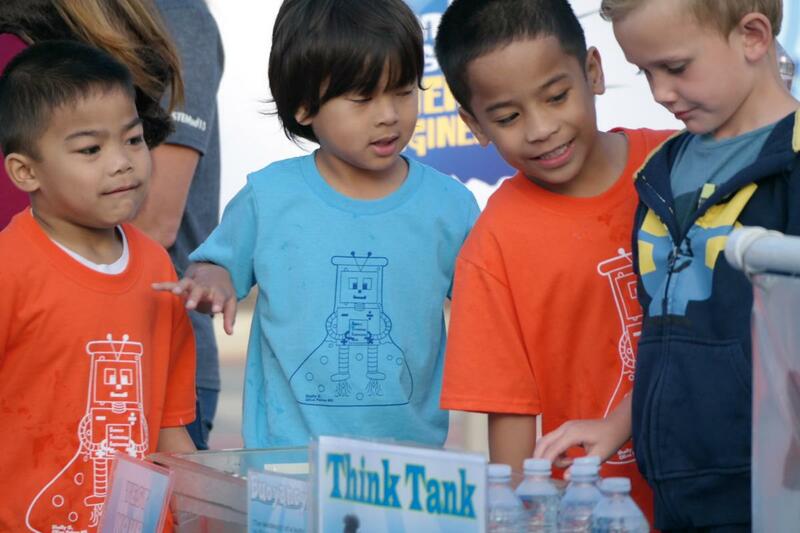 Inspiring even the tiniest innovators to spark a love for science! 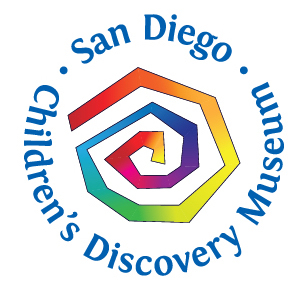 In Partnership with: Children’s Discovery Museum, the San Diego Library, Science Delivered and North American Fitness and Health. We are proud to provide STEAM activities for children under 5 at EXPO Day! Visit the pre-k zone to excite your tiny future innovators. All activities are for children under 5 years of age. TEDX Kids @ El Cajon on Dugout Stage! 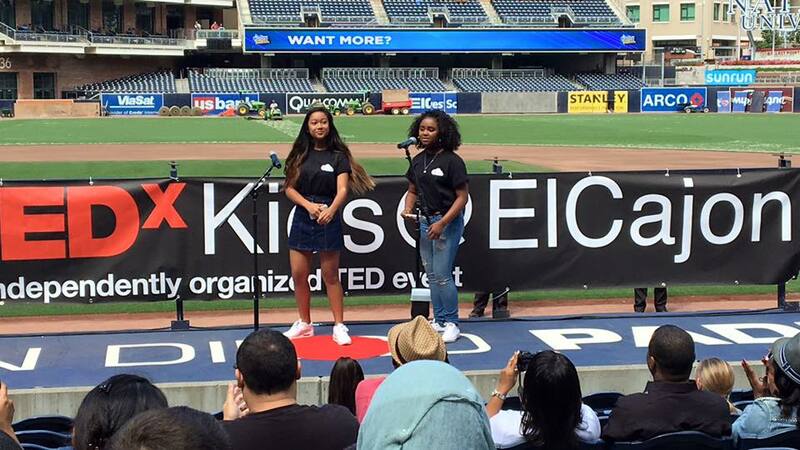 TEDX Kids @ El Cajon will join us for a third year for TEDX kids talk starting at 11:00am on the Dugout stage! Hear some innovative ideas from some of tomorrow’s future movers and shakers. You’ll laugh, you’ll smile, and you’ll definitely be proud of the skills these students are learning in public speaking and leadership. Our booth will feature the use of polyurethane foam ingredients. Two liquids will be mixed in small cups, and kids will watch as the polymer foam grows and expands before their eyes! Once the foam hardens, kids will be able to decorate their “polymer pals” using googly eyes, pipe cleaners, markers, and more! Our focus is on educating the general public about chemistry by featuring a simple example of a chemical reaction between two liquids to form a polymer foam. Informational booth with handouts and giveaways. Info on OLP's STEM and Robotics programs. For this interactive booth, we have a WIND TUNNEL! Participants are invited to make a paper airplane, and then test their design in the wind tunnel. This activity demonstrates the basic principles of aerodynamics. This has been very popular in the past and we're happy to demonstrate it again. Since 2009 Castle Park High students, with Dr. Pomeroy of UCSD, have learned to produce biodiesel from vegetable oil. Students use a particle counter to determine how “clean” the fuel burns and discuss how particulate impacts our global climate. Students present this field data to support the benefits of biodiesel. Our booth, as in years past, will demonstrate the step-by-step process of biodiesel synthesis, discuss the advantages of biodiesel over petroleum and outline the ease of production. Ever wonder what’s happening inside your body when you are sick?! Our bodies have the phenomenal ability to recognize hundreds of living entities that cause disease, known as pathogens, to attack them, and to keep us healthy. At our all-ages friendly booth, UCSD Biology scientists will explain parts of the immune system that are responsible for keeping us healthy and answer any questions you may have. Come learn how this amazing network recognizes and defends your body against foreign invaders! Guests will test, build, and design their own Cartesian diver using principles of buoyancy in relation to fish. They will be able to define and understand the concept of buoyancy, explain how a fish moves up and down in the water column, and engage in the scientific process. The activity will have fish and shark diagrams to show how these animals stay buoyant, bins filled with water to test buoyancy of "divers", and the opportunity for guests to design and test their own cartesian divers. 1. Transform the agave plant into a DNA sequence and explore biodiversity of closely related plants. 2. Tiny translucent worms may hold answers to human health and longevity. Observe them under the microscope and find out why. 3. Sea urchins and fish have much in common with humans. Observe egg fertilization and early embryo development of purple urchin and zebrafish. 4. Gender differences affect decision making. Identify female and male fruit flies and learn why they scientists study them. Visit Cabrillo National Monument's Science Education Team to learn about San Diego's ecology with a fun activity suitable for all ages! You'll use your powers of observation to recognize and understand native plants and pollinators, and how invasive species impact our environment. There will be a station with live local plants and a pollinator box, plus an activity that simulates the sensory systems of ants through identifying their "pheromones". Be a scientist with the National Park Service! We will have a Maker School Bus approximately 25 feet long. We will have a booth and pop up next to the bus. Students will be able to experience a Maker and Robotics activity outside the bus and a tour of the bus. There will be interactive displays explaining the waste water cycle, and the City's ocean monitoring program. For example, the "down the drain game" teaches children what not to put down "the drain", and on the marine biology side, they can operate an ocean water sampler and examine preserved specimens of marine animals. The goal is to educate people about the waste water treatment process and remind them that what they do at home affects ocean life and the natural environment. Informational materials and giveaways related to the City of San Diego's Pure Water San Diego program. Booth visitors can play a "Water You Know" trivia game to win prizes. Compass Charter Schools (CCS) is a WASC-accredited virtual public charter school serving thousands of scholars throughout the state in grades TK-12. CCS offers the choice of either their homeschool or online academic program. CCS is committed to creating a collaborative virtual learning community, inspiring scholars to appreciate the ways in which arts and sciences nurture a curiosity for lifelong learning, and preparing scholars to take responsibility for their future successes. Hands-on interaction with reptiles and arthropods. We invite the public to meet, interact, and explore our relationship with nature through these amazing Ambassador Animals. We will provide information about water, the channels in the cells of your body and water activities for students which do not require the getting wet. Building water molecules, tattoos, simulated water toss. We will have a scientific poster and 3-d models of the protein Aquaporin. 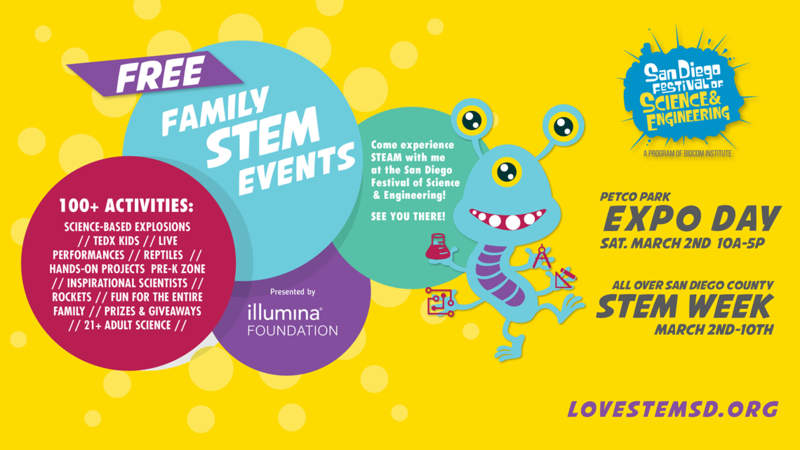 Kids will have fun hands-on Science demonstrations with our STEM experts in chemistry, marine biology, and/or zoology. Kids are you ready to be a scientist? Come find out what the Elementary Institute of Science is all about! The Goldstone Apple Valley Radio Telescope Project (GAVRT) is a partnership between NASA, Jet Propulsion Laboratory, and the Lewis Center for Educational Research, a K-12 Charter School in Apple Valley, California. GAVRT trains educators on the basics of radio astronomy, technical topics pertinent to the project’s science observation campaigns, and telescope operations. Once trained, educators schedule time on the radio telescope for their class to collect data on a strong radio source. Kaiser Permanente Pharmacy here in San Diego will be showcasing our Pharmacy Services that are available. We will discuss inpatient pharmacy, outpatient pharmacy, mail order pharmacy and where our community can go to safely dispose of unwanted medications. The purpose of this booth will be to provide general pharmacy education to youth in our community. We will have pharmacists, pharmacy students and pharmacy residents at our booth available to answer questions for pursuing a pharmacy career. In the “Making Waves” tour, kids and adults will be introduced to marine plankton and encouraged to think critically about what makes them unique and important in providing much of our oxygen and key players at the base of the marine food web. This event will include the JCVI Mobile BioLab, a modified motor coach, outfitted with advanced laboratory equipment. We will have multiple types of microscopes onboard enabling participants to visualize the microscopic work of marine phytoplankton. Live Well San Diego is a vision for a region that is Building Better Health, Living Safely and Thriving. It aligns the efforts of individuals, organizations and government to help all 3.3 million San Diego County residents live well. We will have 3 booths in this space - one that focuses on Health, one on Safety, and the other Thriving. Activities not determined at this time. Our students will be showcasing their award-winning future city model at the expo. Also guests will be given basic building kits that include recyclable materials to build miniature futuristic cities. All materials will be kids-friendly. Future City is a project-based learning program where students in 6, 7, and 8 grades imagine, research, design, and build cities of the future. From painting buildings to creating landscapes students are able to reflect their vision of the future. Coding and Robotics Activities and Demonstrattions. Explore how changing chemical conditions can change the consistency of slime. Ms. Smarty-PLants entertains and educates children and adults a like. What is a climate? Are we changing it? How can we help? In this fun and entertaining show everyone will learn that taking care of the earth can happen with science and determination! TBD. Most likely virtual reality or an interactive game. As part of our commitment to education, the National Marine Mammal Foundation participates in outreach efforts at local San Diego schools and public events. By educating children and the community about our exciting marine mammal discoveries, we hope to inspire future generations. We will offer hands on STEM demonstrations involving sound, effects of water pollution, and echolocation. We also have fun interactive games where participants can learn about marine mammal biology and win prizes. Hands-on activities: human torso, replica animal skulls, animal plastimounts. NDIA Exhibit booth goals are to have students learn about technology needed within DoD from our industry partners and military including Navy Diving Helmets, Robotics, a variety of electronic tools, lights, and lasers. NDIA members talk to the students and parents about careers in STEM and provided helpful information based on their real-world experience. Together we help awaken a greater interest in STEM and STEM education. The Fit Zoo Crew kid's exercise game. A giant board game where the kids are the moving parts. OSSC demonstrates different optical components: Fresnel lens, prisms, doublets, fibers, and others. We show effects of polarization and color mixing. How do women and children in the developing world get their water? They Carry It! Come learn about water projects and PCI's work to empower women and children. Meet women who have lived in places where they have to walk 6 miles a day to get water for their families - and carry a jerry can on your head to see what it is actually like! Photo opportunity provided as well. Teaching kids how to make Concrete. Tensegrity-Tension and integrity. 6 popsicle sticks, and 6 rubber bands and you have a tensegrity model. What does real DNA look like? Come work with our volunteer scientists to discover the "stuff of life" shared by every organism on the planet! In this interactive science experiment, kids AND adults will get the opportunity to create a "Glowie". A “glowie” is a molded plastic glowing object. We’ll make the glowies with a safe, non-toxic, low temperature thermoplastic which is malleable when melted and clear like hot glue. It melts in tea water so it won't burn you, and will stay soft for a couple of minutes while it's warm to the touch. To make it glow we place an LED in it while its soft and attach a coin cell battery. San Diego Blood Bank will present different interactive activities where children will learn about the components of blood. In addition, staff will be handing out informational materials regarding different programs such as becoming a blood donor, the All of Us Research Program, Cord Blood, Cell Therapy. A live art demonstration featuring three to four of SDCAA's graffiti art and mural artists. They will create dynamic STEM-related art, using surfboards as the canvas. Join us for a Technology Adventure as we span through 4 different Tech-Inspired Activities that will engage all age-groups. Our Tech Adventure Activities include Virtual Reality Experience, Robot Coding for Kids, Electronic Game Design, & Technology Entrepreneurship! Small Giveaways will be available for those interacting with our booth! What makes arches and triangles so strong? Students will learn about both the physical science and history of arch and truss bridges. Students will perform experiments to investigate the inherent strength of these shapes and understand why civil engineers frequently use them in the design and constructions of structures in general and bridges in particular. Become a NAT nature detective and discover the mysteries of the natural world through hands-on interactive games. Come on over to learn about the brain! You can make neurons (brain cells) out of colorful pipe cleaners and beads, or try your luck with a brain maze. We also tell you about our research looking at brain imaging in people to understand how the brain organizes itself and develops. SBP will be very hands-on with experiments, showing what we do in the lab, yet on lay-friendly level. We will have things for kids and adults to look at (last year it was Virtual reality glasses and proteins, and C.elegans - tiny worms) and be interactive with our scientist volunteers. (exact experiments TBD) We will also apply temporary DNA tattoos, and give out little lab coats. We will make the science exciting and interesting for all! We will do science interactive activities that are fun for everyone and geared at the K-5 crowd. The specific activities will be picked closer to the event, for this reason I checked "other" below. Come learn about what scientists do and how you can be a scientist too! We have an interactive booth with a couple of STEM activities and information on the Community Teaching Lab at Scripps Research. Come be a part of our scientific community, we need you! We will showcase how different liquids have different densities and plan to drop different objects of different compositions within the liquids, meanwhile explaining how the composition of the dropped objects causes them to fluctuate and move between the levels. We plan to have multiple objects that people passing by can drop within the liquid and see the effects the different levels of density have on the behavior of the objects. Construct a simple paper rocket to demonstrate propulsion and flight stability. Participants will balance bricks on levers, feel the benefit of using pulleys, and see how inclined planes can decrease work. Focusing on a Space theme this year, we will provide visitors with hands on activities that brings learning to life. We love to provide our students with leadership opportunities and this is a wonderful event for the students to shine and to share their love for science and engineering with others! With this in mind, our students will be leading the activities, however teachers will be there for support as well. Interactive and fun booth demonstrating how energy is converted from stored to kinetic, similar to a gas turbine. Energy stored in a balloon is released into a fan, generating kinetic energy. A voltage is generated across the motor leads as the fan spins faster. The hands-on exhibit includes use of a 3D printed mini-turbine model, discussion around power generation through interaction with the Solar Turbines Team, and a cool look into a cutaway turbine engine model. For over 90 years, Solar Turbines has been a leader in energy solutions and advanced manufacturing. Team 3128 is high school FIRST Robotics team based at Canyon Crest Academy. Come see our 2018 competition robot and help navigate a EV3 robot through a maze! 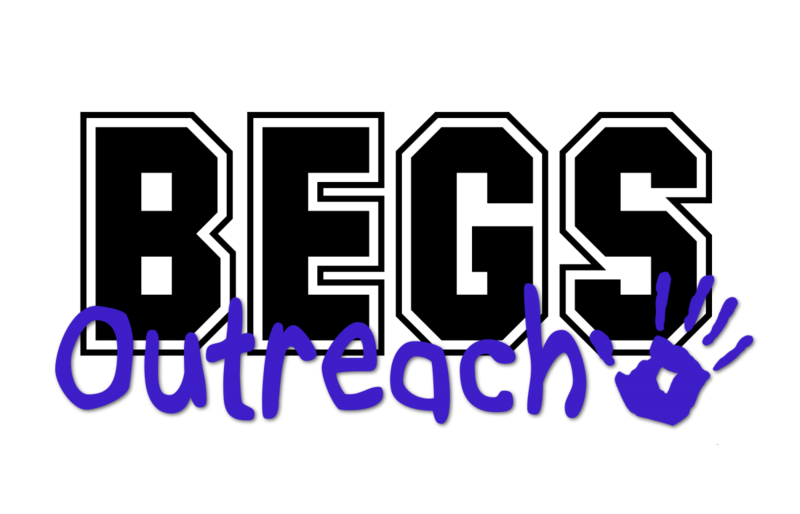 We are a non-profit school teaching programming to kids in 5th – 12th grade. Our after-school/weekend classes meet year round to prepare kids for the science and technology careers of the 21st century. Kids get to practice hands-on science by observing bugs collected from the San Diego River! Kids can identify the bugs under a microscope and use the identification to help determine the health of the River! Wonderful Wetlands! Did you know that wetlands are found worldwide and are among the richest habitats, just as rich as a tropical rainforest? Meet scientists from the Tijuana Estuary, discover wetland critters, dig through a mudflat, see the kind of science wetland biologists do, and discover why wetlands are important for YOU and for wildlife. Our presentation will promote our after school program, and the different courses we provide. Our facilitators will be there to explain and showcase which programs we offer. We will have two of our Globase2 computers which are part of our computer build curriculum. Kids and parent will have the opportunity to build parts of the Globase2, and answer question about software and hardware. The second Globase will have a monitor which will have Scratch open, and kids will be able to block code. A bioengineering themed interactive activity centered around linking principles of biology to engineering solutions to common diseases and conditions. The UCSD Biomedical Engineering Society (BMES) will be hosting activities centered around the topic of diabetes. There will be two interactive demonstrations, one giving insight into the biology of diabetes and the other highlighting bioengineering-related treatments. Activities will demonstrate how microgravity affects body fluids in space and how negative pressures can be used to redistribute fluids in space and maintain astronaut health. 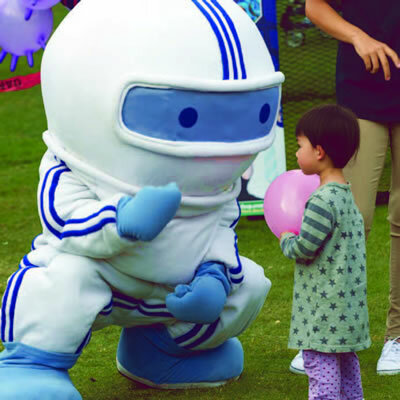 Our table will have an inflatable alien filled with water and pressure gauges attached at different points to show how fluid pressure changes with posture changes, and an alien in a battery powered negative pressure box to show fluid distribution due to ambient pressure changes. LEGO, let's go! Our booth will focus on exposing students to the wonders of bioinformatics and computational genomics with hands-on games. We will have a Lego-'DNA' sequencer, and we will allow students to 'generate' the DNA of a monster they can draw. They will be able to see the process of sequencing DNA through this game, and gain an understanding of Next-Gen Sequencing technology. Through this activity, we wish to spark the students’ interests in biology, bioinformatics, and SCIENCE! Students will study the anatomy of sheep brains in a hands-on activity. They will also reason (and guess) about which brains in several jars belong to different species. Demonstrations on static electricity, optics and lenses, magnetism (jumping metal rings), and momentum. Also using liquid nitrogen to freeze superconductors so that they will levitate over magnets and other instructive demos (maybe make ice cream). Using dry ice and water to form comets. The demos with liquid nitrogen and dry ice will only be made by the exhibitors. Engage with midshipmen from the U.S. Naval Academy while they provide a wide spectrum of hands on STEM modules from a multitude of technical subjects including aerodynamics, chemistry, fluid mechanics, physics, robotics, logic puzzles, electricity, and others. Live educational animal ambassadors for children to meet along with a very interactive educational animal display.